The majority of all proposals happen between Thanksgiving and New Years Eve, so if you (or someone you know) are planning to propose this holiday season, here’s how to plan the perfect proposal! Location: This is your chance to make a really meaningful memory so make it really personal when you are planning. Pick a place that is super special to the two of you or a new place that you’ve always wanted to go together. This is a story you will tell for the rest of your lives so make it a milestone moment. Activities: Decide if you are planning a whole day of activities leading up to the proposal or if you are going out for just that special moment. If you are planning a whole day of activities, make sure to also bring the ring and keep it in a secure place during your day. If you are planning on just that special moment, maybe plan a spa day of pampering for you both so you are refreshed and relaxed before your big moment. What to Say: Have an idea of what you would like to say and practice it several times to set it in your mind. When the moment comes, it may not come out exactly as you had planned due to nerves but at least you will have the main ideas of what you wanted to share in that moment. *Biggest Tip: Speak from the Heart – You can never go wrong! Every couple is different so it’s important to determine if you would prefer to have a private moment between the two of you or a moment that is witnessed by friends and family. Why is this important? For example, if your significant other is super shy, they may be completely overwhelmed by being the center of attention in such an important moment. Make sure to think about what is best for them and make your plans around what will make them most comfortable to truly enjoy the moment. It’s a pretty sure bet that you’ll feel nervous and even distracted on the day so make a plan of what you will be doing in advance and double check the details and reservations the day before so you don’t miss anything on the actual day. If it still seems too overwhelming or you want to set up something really special without worrying about the details, hire a wedding planner to help you create the perfect surprise proposal. Big moments like this can seem like a blur after they are over or if you are choosing a private moment between the two of you, hiring a photographer to hide in the wings to capture the moment can be a great way to not only capture your proposal for you to look back on but also to later share with family and friends who weren’t there. Kathy Thomas Photography: www.kathythomasphotography.com – $250 for a surprise proposal shoot | Additional $250 for an engagement shoot right after the proposal. KV Photography: www.kvphotographyonline.com – $250 for a surprise proposal shoot | Complimentary engagement shoot with their wedding package. 2. Home or away? Pick an option that works best for the two of you. If you are proposing away from home, ask the hotel or local friends or family for help in picking great places in that city weeks before you leave so you have time to research their suggestions, make a final plan of what you would like to do and contact restaurants or photographers in advance. 3. Be true to yourselves. Feel free to combine or incorporate elements of your respective heritages, to do something ultra-traditional or completely untraditional if it suits you both or incorporate some of your favorite things that you love. 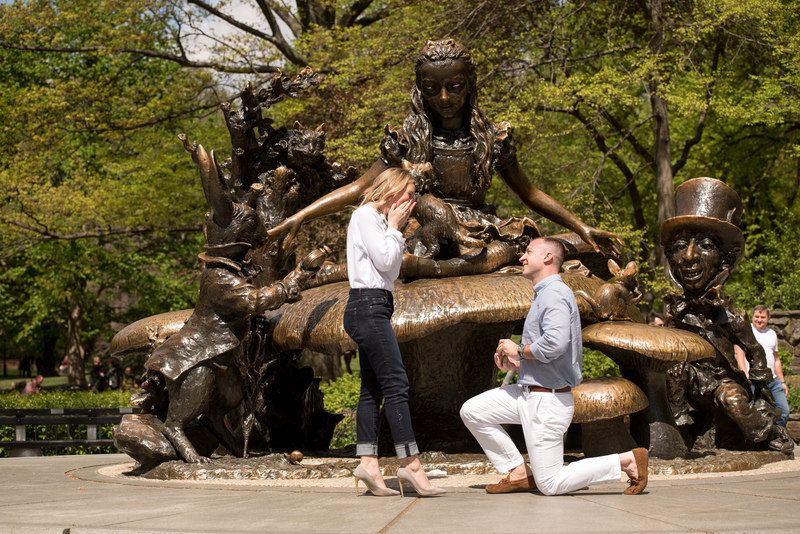 Your proposal is completely about the celebration of the two of you so do what you feel is right, what makes you happy and what represents the two of you in this special moment. You never have to have a cookie cutter moment! 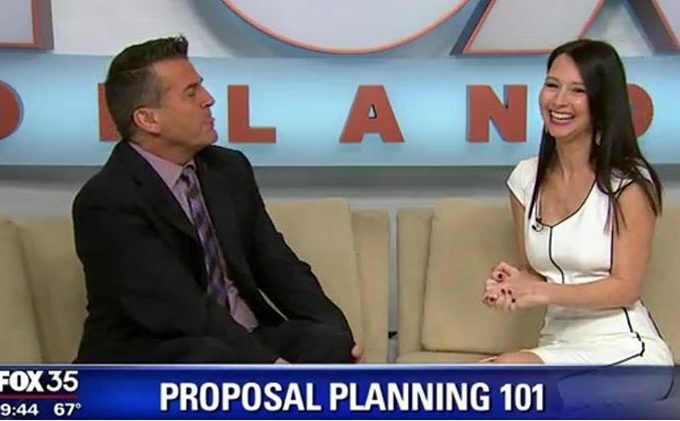 If all else fails, email me: weddings@jamieo.co and I will help you plan the perfect proposal or the perfect wedding you’ll remember forever!